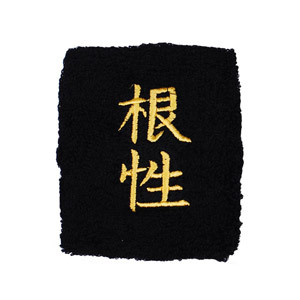 1 x black sweatband with kanji "konjou" embroidered in gold. Konjou means "will-power" and "perseverance" and is assoicated with a gutsy/never give up attitude. .